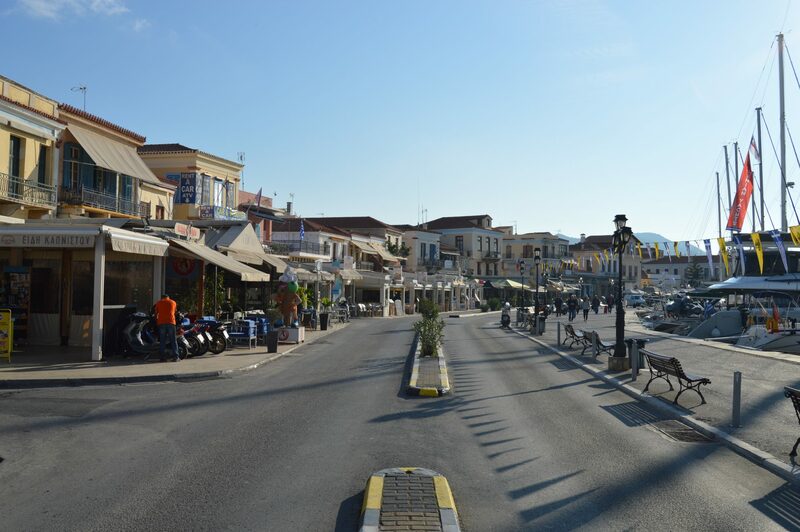 Aegina in Greece is a beautiful island only an hour ferry ride from Athens. It has nice family beaches, seaside villages and interesting archaeological sites to visit. A drive around will bring visitors to fantastic places. Some of these are the Ancient Temple of Athena Aphaia, the ghost village of Paleochora with the innumerable churches. In addition to this there are the seaside villages of Vagia and Perdika and many other secrets to discover. 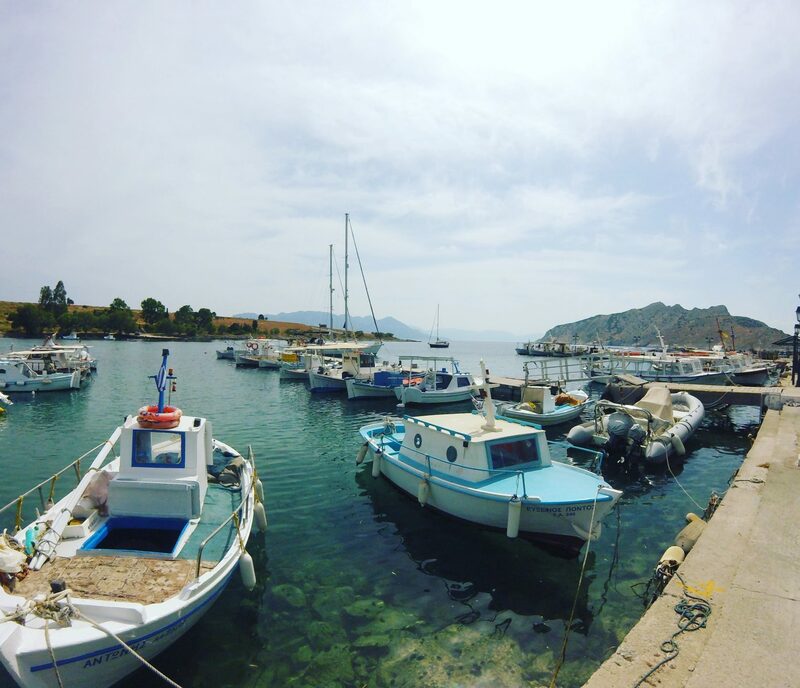 If visiting Aegina you can combine this with a day trip or short vacations to the close island of Agistri, a lovely place for total relaxation. Aegina has a number of beaches you can reach by car or public bus and several that you can walk to from Aegina town on either side of the ancient Temple of Apollo. On the north and west side of town you are in what is almost a suburban neighbourhood. There are small rocky coves with stretches of sand and pebbles where the locals swim are great for snorkeling, probably the best you will find this close to Athens. Agia Marina has a long sandy beach where most people swim. However, the best spots are on the platforms built on the rocks at the edge of town in the direction of Kavos near the Hotel Apollon. Those visitors who are excited by learning about history will not be disappointed by what Aegina has to offer. The island has a special place in Greek mythology and history. The myth has it that the island took its name from the most beautiful of the twenty daughters of Asopos, the river god, who eloped with Zeus to the then deserted island. In historical terms, there is evidence that the island was inhabited from as early as 3500 B.C. The island enjoyed strong economic and social growth between around 900 B.C. and 480 B.C., including minting the first coins anywhere in Greece during the 7th. Century B.C. 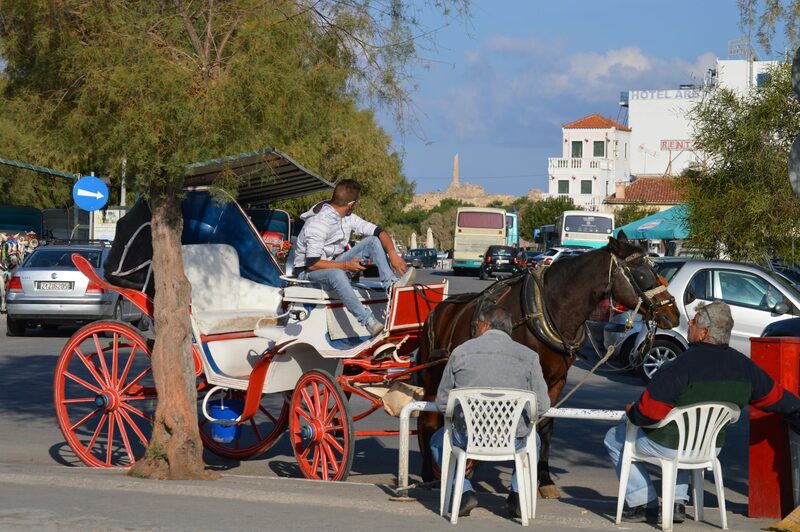 In more modern times, Aegina was briefly the first “capital” of modern Greece from 1827 – 1829. If you like pistachio nuts you can purchase these by the sack full if you want. There are many stalls like the one pictured below that specialise in all things made from these nuts. Ice cream, butter and many other tasty treats. Pictured below is the small fishing village, Perdika. This is a beautiful place and if you are travelling around or sailing to Aegina this place is real picture postcard stuff. There is a beach on one side of the harbour with tavernas and sunbeds. 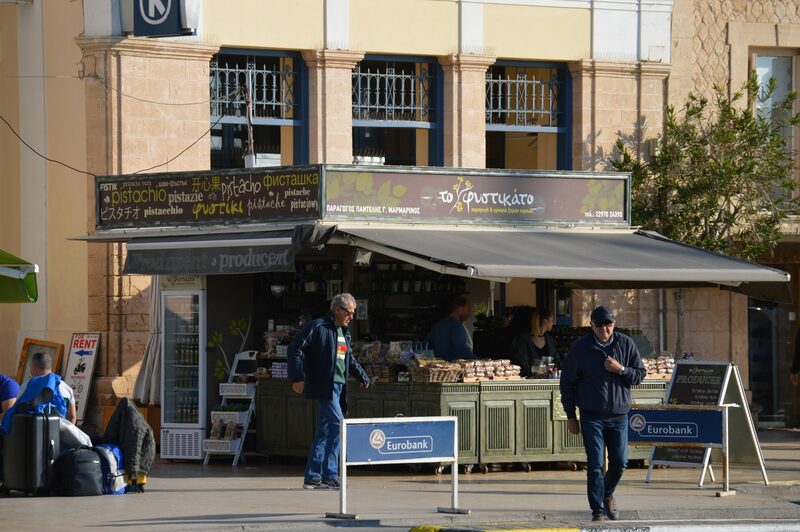 One of the best tavernas to visit is The Saronis, great food and good service from Dmitiris. If you are sailing and you want a scenic anchorage then a bit further east from on the south side of the island from Perdika the are some wonderful little coves. The photo featured at the top of this page is Atlas on anchor in one of these coves at Aegina.